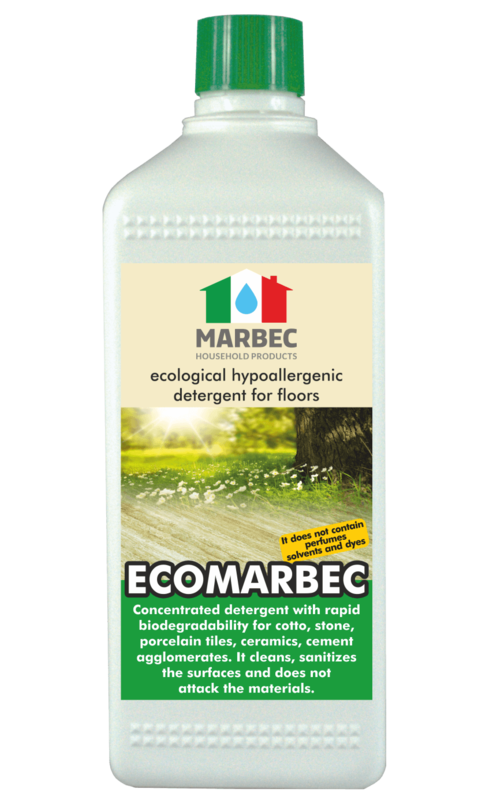 Neutral concentrated detergent for ordinary cleaning of floors treated or not treated with wax. It combines the sanitizing function with the degreasing power, but it’s not aggressive towards the materials. 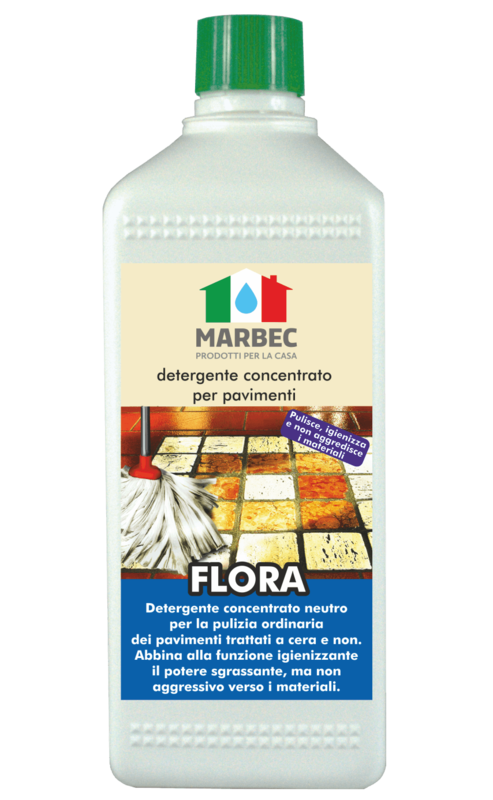 FLORA is a non-aggressive concentrated detergent to clean floors in cotto, glazed ceramic, natural stone, cement agglomerate and synthetic surfaces. Low-foaming detergent. It leaves no halos and releases a pleasant scent in the rooms. FLORA combines an effective sanitizing action to the detergent / degreasing action. The concentration of use depends on the type of dirt to be removed. -Dilute 250-500cc in 1 liter of water: for an extraordinary and degreasing cleaning of untreated floors or to eliminate accumulations of dirty and deteriorated maintenance waxes on treated floors. Spread FLORA on the floor with a cloth, mop and leave to act for a few minutes, rub the surface with sponges or medium-hard buffers, then rinse it off with clean water. -Dilute 30-50cc in 5 liters of water: for periodic cleaning. -Dilute 10-20cc in 5 liters of water: for daily cleaning. It depends on the concentration of use.